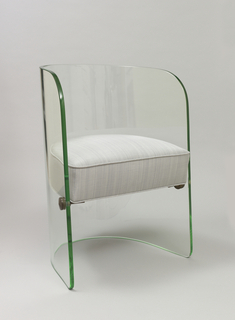 See more objects with the tag interior, home, symmetry, seating, comfort, tubular, rippled, fluid lines. See more objects with the color darkslategrey darkslateblue darkslategrey or see all the colors for this object. This is a Chair and ottoman. 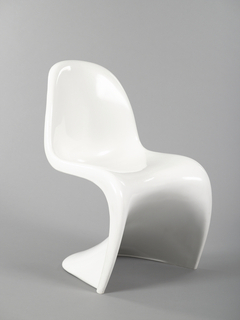 It was manufactured by Knoll Group. It is dated 1948 and we acquired it in 1979. Its medium is polyester, foam, tubular steel. It is a part of the Product Design and Decorative Arts department. Florence Knoll, whose company manufactured the Womb chair, has said that in 1946 she told architect and designer Eero Saarinen that existing lounge chairs were boring and uncomfortable, explaining, “I want a chair I can sit in sideways or any other way I want to sit in it.” Saarinen’s Womb chair allows just that—sitting up, curling up, or with a matching ottoman, stretching out. 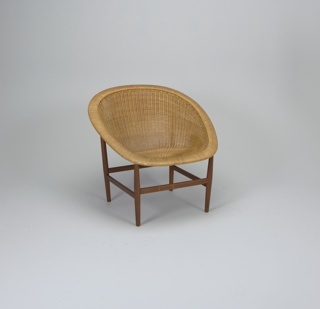 The chair’s form is based on a truncated, warped cone: it is a cone cut at its point and folded inward at its sides, intended to encircle the sitter while creating armrests and a sculptural outline. The design was made possible thanks to a new wartime material, reinforced fiberglass and resin, developed to create strong, light, single-shell hulls for Navy boats. 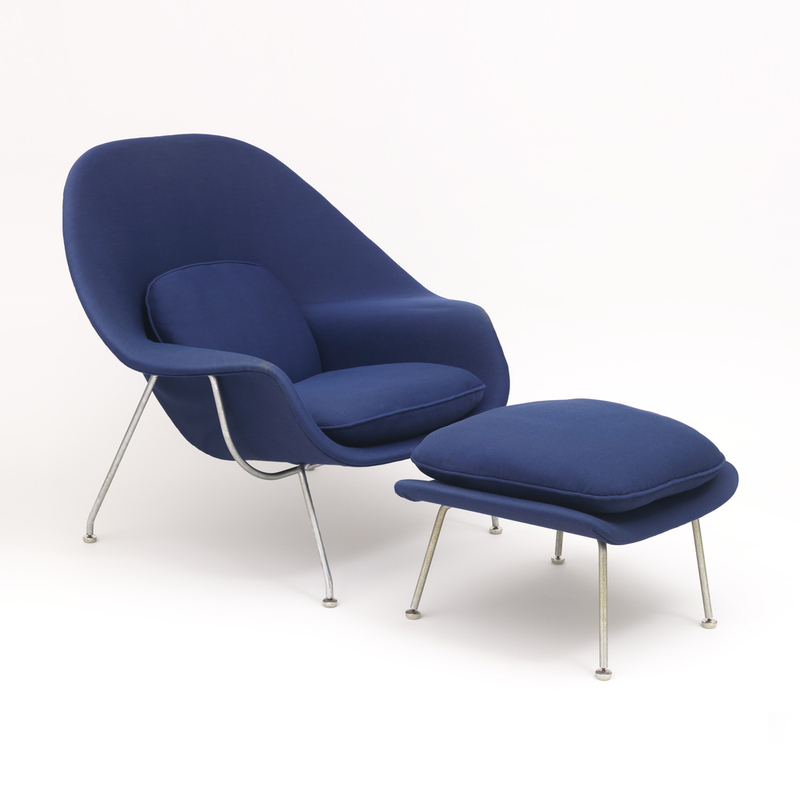 In constructing the prototype, Saarinen and Knoll worked with a commercial shipbuilder who produced the chair’s first fiberglass shell designs. The Womb chair, or Model 70, and its side chair companion, Model 72, and settee were the first plastic chairs to be mass-produced, propelling Knoll Associates to a status as a leading modern furnishing manufacturer. The Womb chair then took on a life as a piece of quintessential American modernism, appearing in a Coca-Cola campaign and a Norman Rockwell Saturday Evening Post cover.